Surveyors need ladders in order to assess the size/condition of a property, so a sturdy and reliable ladder will be required. For professional surveyor use, enlist the assistance of our solid and robust surveyor's ladder. They adjust your reach accordingly to help you with all your inspection purposes. 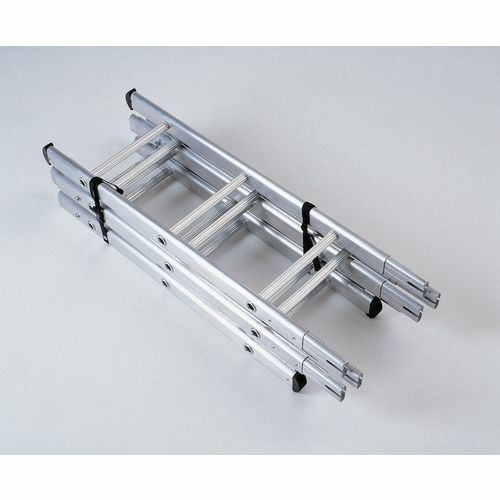 Manufactured in 900mm lightweight aluminium sections with spigot fixings, this easy and safe to use ladder ensures stability and security. Its compact size allows it to be stored and transported easily, whether in the boot of a car or in areas with limited space. 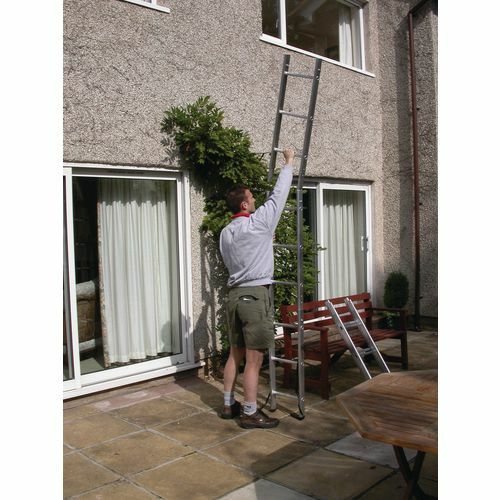 In addition, the surveyor's ladder also comes with straps to hold together securely when packed away and is quick and easy to dismantle with a strong base section. They are available in a choice of four lengths; 2750, 3650, 4550 or 5460mm. 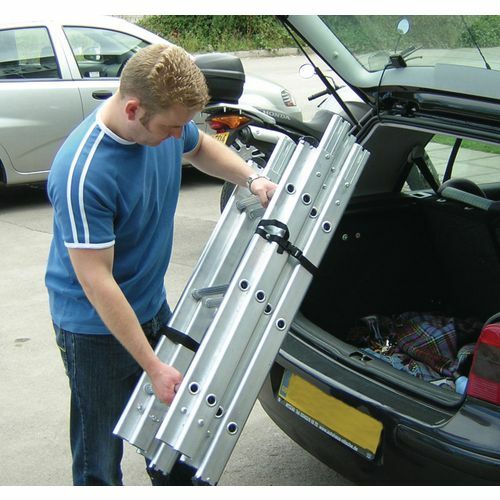 Our surveyor's ladders are a great choice of ladder and greatly benefit from being easily transportable. They come with a 60 month guarantee and FREE UK Delivery.